I am 41 years old. Depending on who you ask, I'm either at the upper end of comic publishers' target demographic, or a bit beyond it. Well, at least those publishers who make the most money in comics. If, then, I'm outside comics' target audience, am I still relevant? If I go out and buy the latest issue of Amazing Spider-Man, I don't doubt that Marvel would be happy to take my money, but if I choose not to buy it, isn't their opinion going to be, "Meh"? They're not trying to sell Amazing Spider-Man to me; it's not written and drawn for a 41 year old who's been reading comics as long as he can remember. It doesn't speak to me because it's not supposed to. It's geared towards a younger crowd, and it's their opinion, as shown through their dollars, that Marvel is interested in. Some could argue that a 41 year old is still relevant if s/he can influence the target demographic with, say, a blog. But then the question is: how much influence would even a popular blog have relative to the marketing campaign dollars of a large corporation? I read a book a little while back on the failure of the John Carter movie from 2012. As the movie launch neared, the existing John Carter fans -- the ones who'd read all the books a dozen times over, and were genuinely excited to see the character succeed as blockbuster movie -- put together a pretty massive (as far as coming from fandom is concerned) campaign to promote the film. Fan-made trailers, fan-made screen wallpapers, fan sites extolling the characters' history and lineage... But Disney's marketing machine behind it did a phenomenally poor job, seemingly completely oblivious to both the film's story and the potential audience. I haven't seen the movie myself, but reviews seemed to be generally okay. Not great, but not bad. But the marketing did such a poor job of selling the movie, that it's generally considered a massive failure. The fans simply could not overcome that. It's not that Disney was trying to market a bad movie, they were trying and failing miserably to market an okay one. 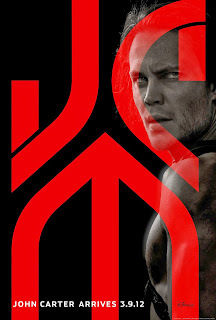 And the die-hard fans who wanted John Carter be successful enough to warrant at least a sequel, if not a franchise, could not move the needle no matter how hard they tried. And, hey, look at that! The same company that made John Carter also happens to own Marvel! It's not that fans have zero impact, but their influence only extends so far. And the influence of folks outside the target audience is even more limited. Why should a 25 year old care what an old geezer like myself thinks after all? A-ha, but can I be relevant somewhere else? Like maybe a publisher whose target audience is middle-aged? Someone who is making comics that are aimed at someone just like me? Now there's some opportunity for influence! So if your interest and concern in comics is having your voice listened to, keep in mind who the target audience of your favorite stories actually is. If you, as a 41 year old, are trying to tell DC that they're not doing a good job with Superman, they're probably not going to hear you. But if you tell them that as a 25 year old, they'll at least listen.